Enjoying the sunset one of the seasonal Hawaii activities. There is a wide variety of seasonal Hawaii activities that you can participate in. Whatever season you’re in, you are bound to find an activity in Hawaii that you will enjoy. This may be one of the best times to visit. During this time, rainfall lessens. Trade winds bring cooling breezes. And spring typically brings the end of the busy tourist season. So starting around the middle of April, pricing for airfare and lodging generally begins to drop. March is the month where you can attend the Cherry Blossom and Narcissus festivals. This is when Hawaii respectively honors and celebrates Japanese and Chinese cultures. These cultures have heavily influenced the Aloha State. Traveling to the Big Island? If so, you can attend the Merrie Monarch Festival. It’s the world’s premier hula event and starts on Easter Sunday each year. This time in Hawaii is an even better period for water sports and activities. Such seasonal Hawaii activities include surfing, parasailing and paddle boarding. They offer exciting and fun venues for cooling off from the warm summer sun and occasionally humid weather. The end of summer brings the biggest event in Hawaii, the Aloha Festivals. They are a two-month celebration of Hawaiian culture that spans across the State. It features approximately 300 events, including parades, food and dancing. During this time, the State of Hawaii celebrates its most beloved king, King Kamehameha on June 11. It starts with a parade in Downtown Honolulu and ends at Kapiolani Park in Waikiki. 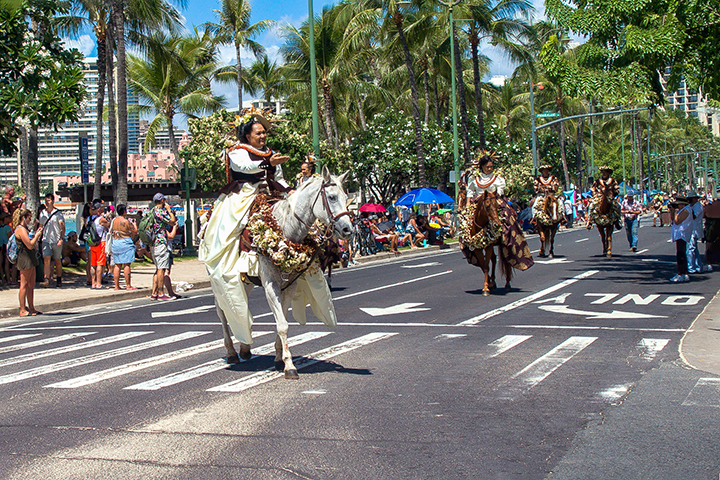 The parade features an honorary royal court, elaborate flowered floats as well as the traditionally attired pa’u women horseback riders. During this time, you can watch one of the most exciting displays of human stamina you find. Kona on the Big Island of Hawaii is original home of the Ironman Triathlon series. You can now see these events throughout the world. But Kona usually stages the Ironman World Championship during October of each year. If you arrive in the early days of fall, you may be able to catch the tail end of the Aloha Festivals. Fall also has the Hawaii Food & Wine Festivals. Many consider it the premier epicurean event in the Pacific. You can find these events on Oahu and Maui during October of each year. One of the most popular seasonal Hawaii activities is whale watching. During the winter, humpback whales travel from Alaska to Hawaii to give birth to their young. 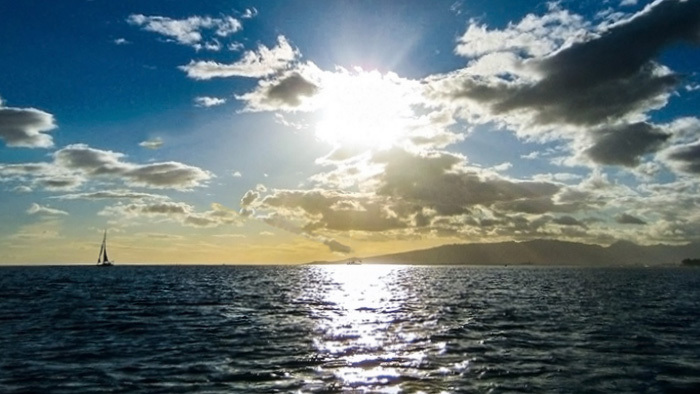 Maui is one of the best places for whale watching in Hawaii. If you are a surfing fan, definitely plan on traveling to Oahu during winter. During this time, Oahu hosts the world’s most prestigious surfing competition, the Vans Triple Crown of Surfing. You will find these events on Oahu’s famous North Shore beaches. The world-renowned Honolulu Marathon is held on the second Sunday in December of each year. If you are going to run in marathon, you should definitely do it in Hawaii. Golf fans can watch one of the longest running PGA Tour event, The Sony Open. It’s held in January each year at the Waialae Country Club.